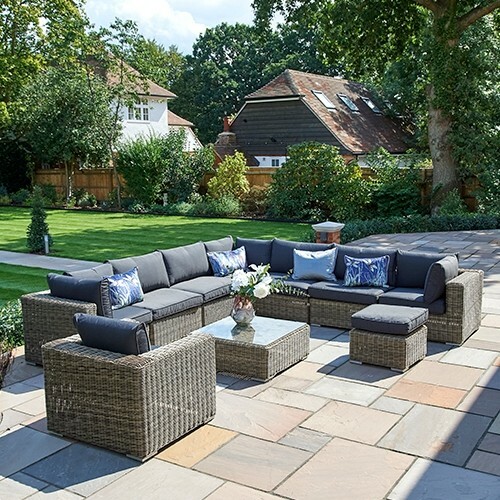 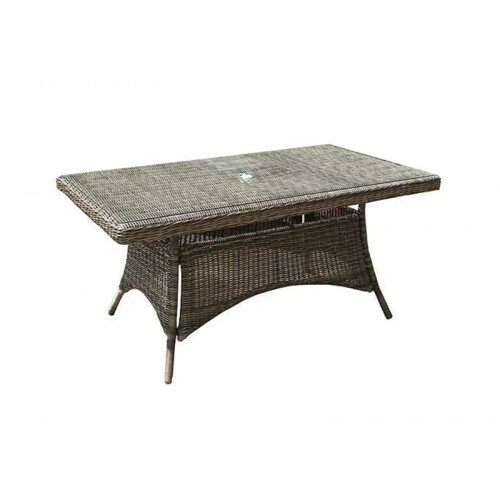 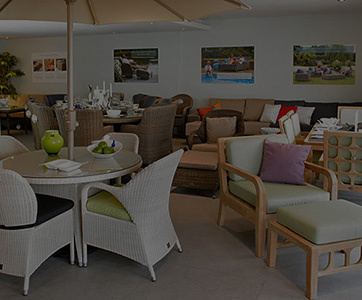 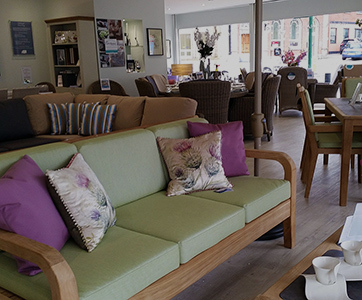 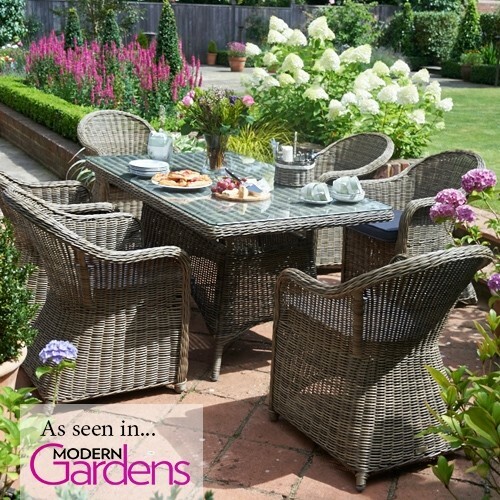 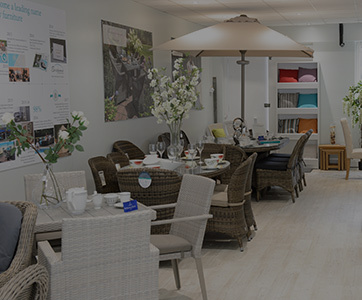 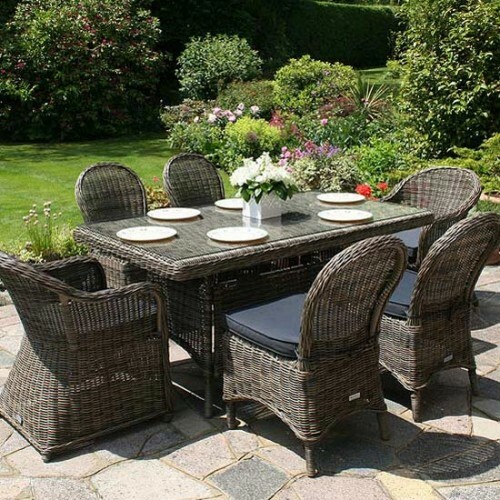 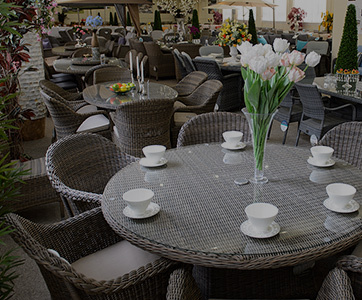 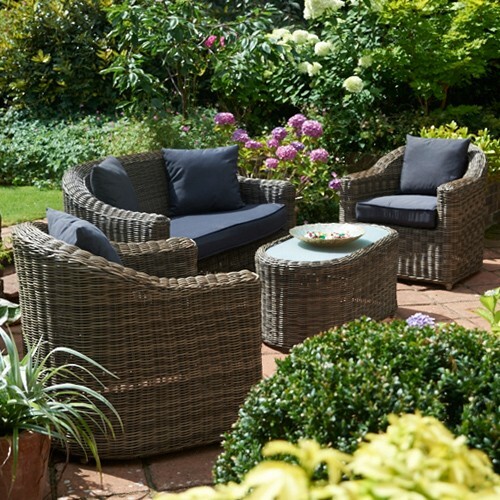 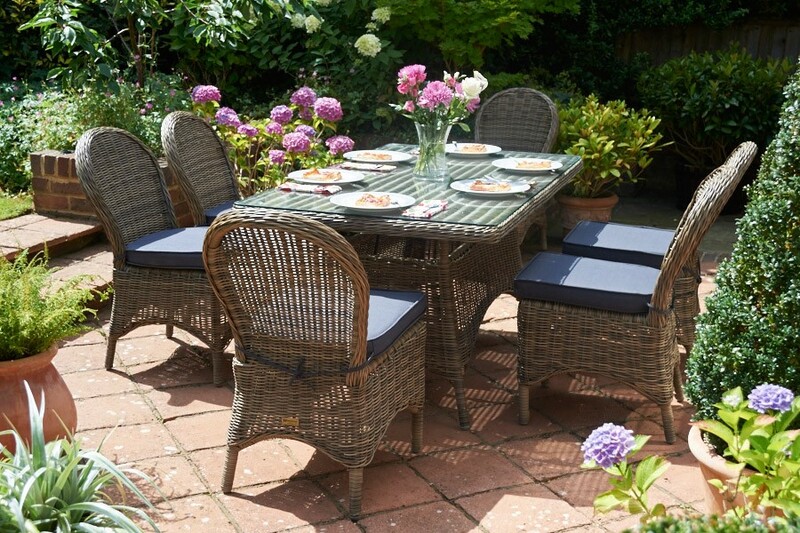 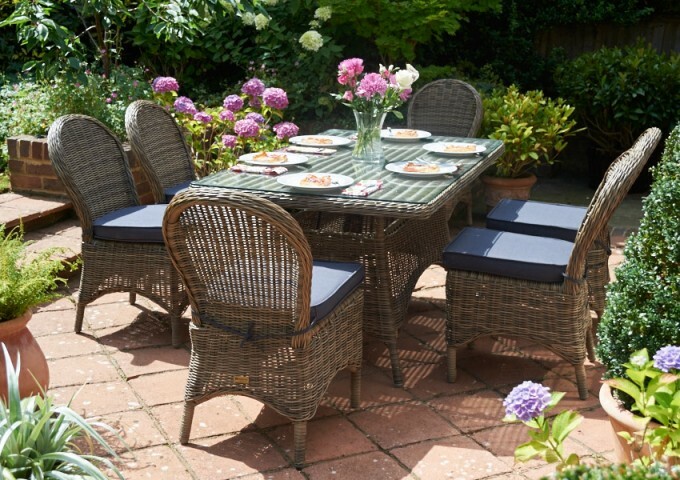 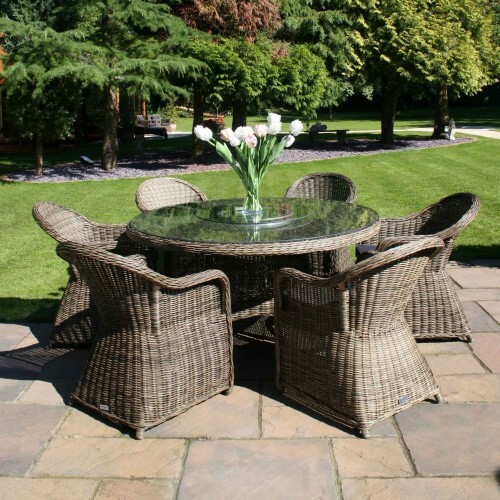 Be inspired to dine outdoors with this Mayfair garden dining set that presents a picturesque setting for relaxing and socialising with friends and family. 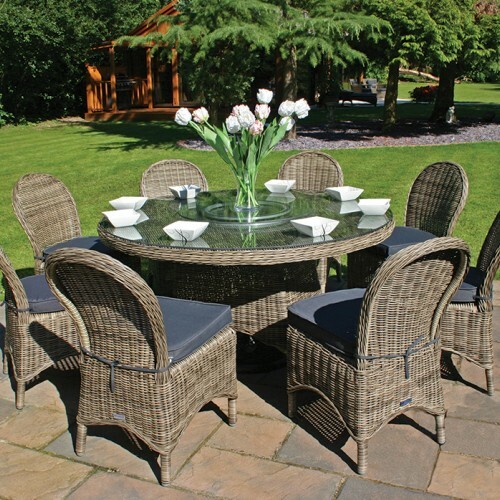 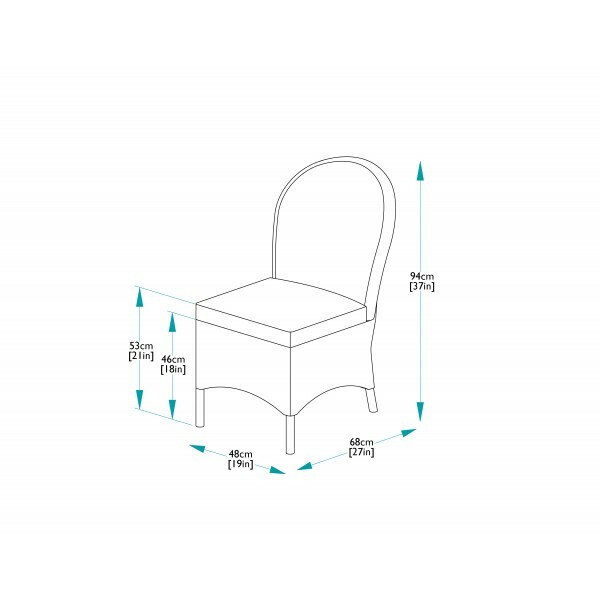 This set consists of a Mayfair 160cm rectangular table and six dining chairs. 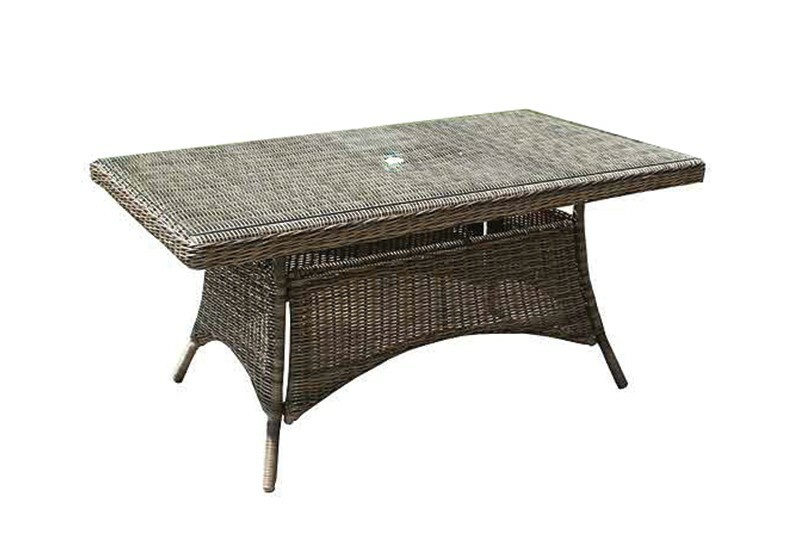 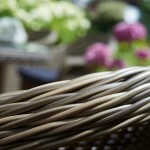 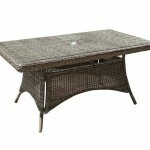 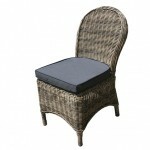 The design is clearly classic with sweeping curves and an attractive woven finish over a robust aluminium structure. 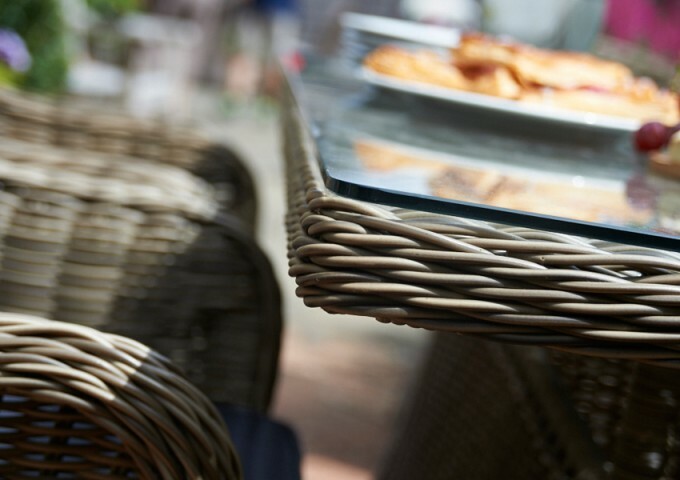 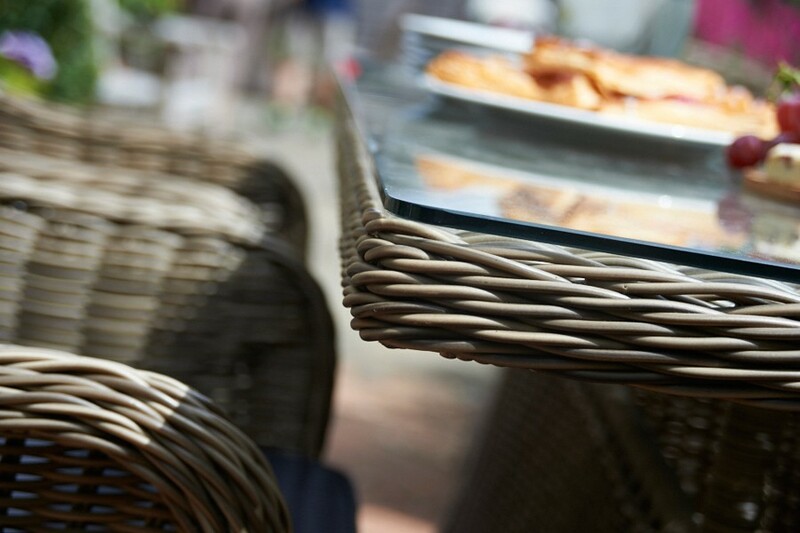 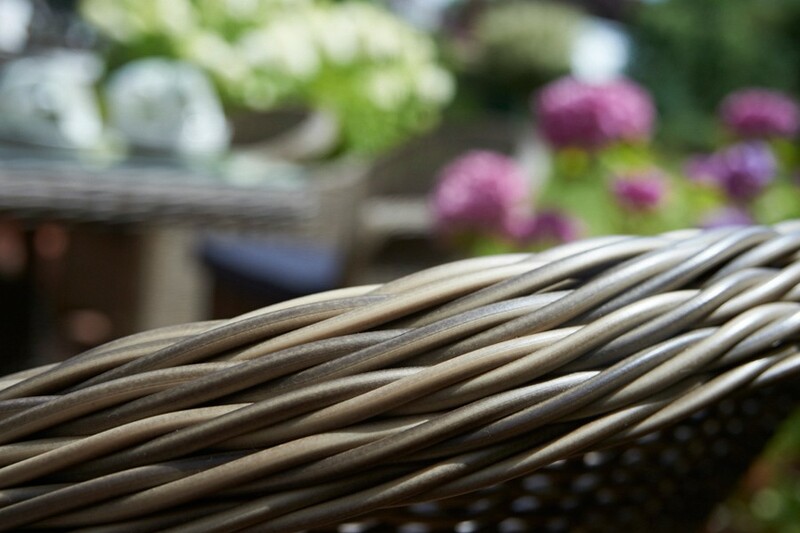 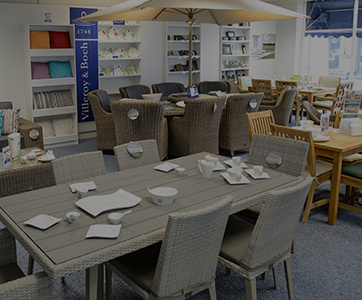 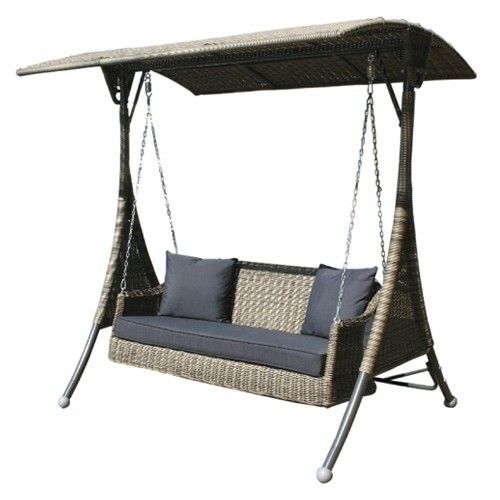 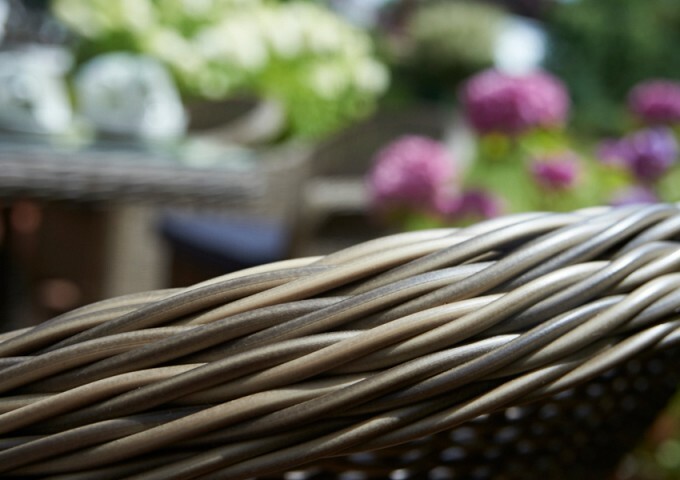 The synthetic rattan material boasts a highly natural appeal with the benefit of being highly weatherproof and maintenance free. 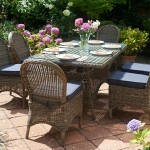 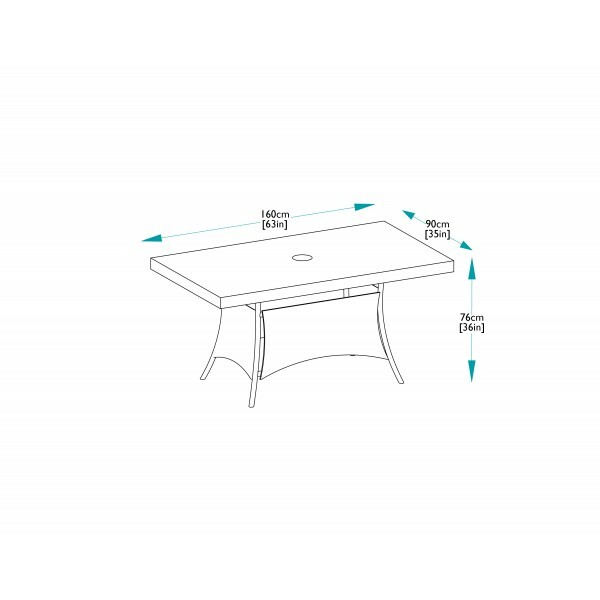 This table seats six guests comfortably in the chairs provided, and is topped with clear safety glass. 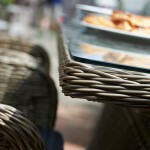 It also has a hole that fits a parasol and a clear plug to put back in place when your parasol is not needed. 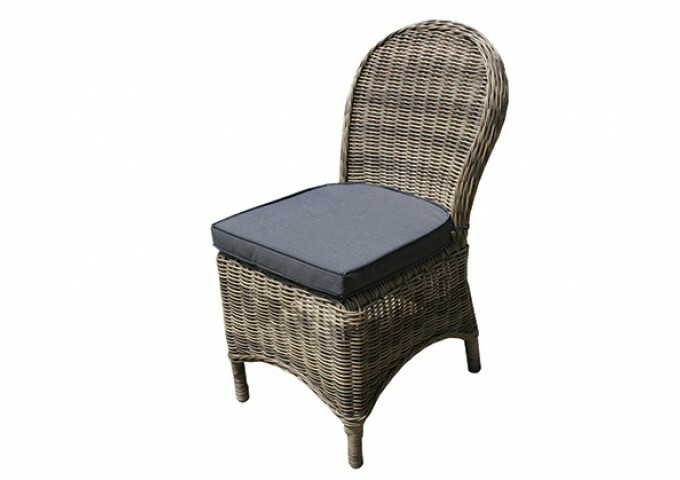 The dining chairs are topped with soft padded cushions, upholstered in grey coloured covers that coordinate with the olive toned weave.